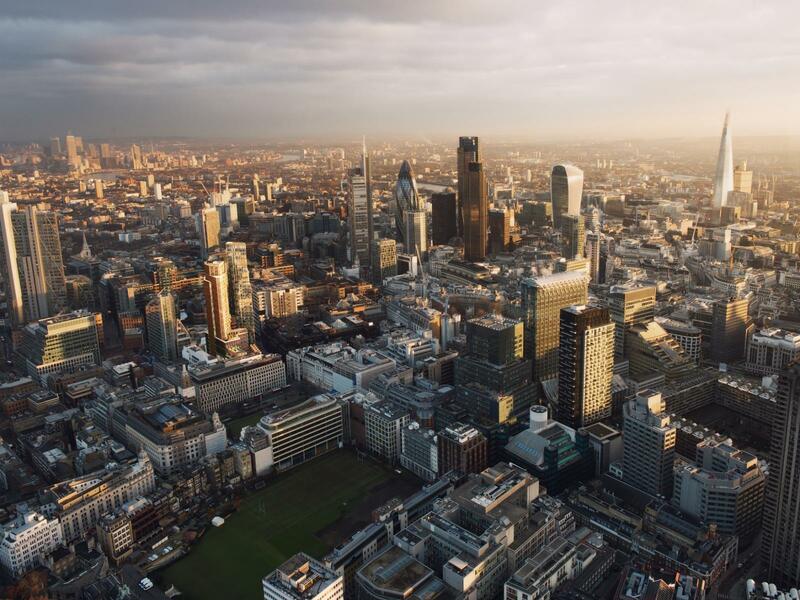 London, 10 April 2019 - London has the 8th most expensive average house prices out of 35 global cities profiled in a new research report. Hong Kong maintains its position as the world’s most expensive residential city, while the Spanish property boom is reflected in strong house price and rental growth in Barcelona and Madrid, according to the research released today by CBRE. In the fifth annual Global Living report, CBRE profiles the property markets across 35 key global cities. The Global Living report reveals the differing influences in each city and provides a comparative study of house prices, rental growth and living costs, among other factors. The results highlight that investments in urban areas such as transport infrastructure, connectivity, retail, cultural centres and housing are key drivers of economic growth. In the fifth edition of the ‘Global Living’ report, we have expanded the number of cities we examine from 29 to 35. They include the most exciting cities in the world, from emerging technology-driven powerhouses like Shenzhen and Bangkok through more traditional capital cities such as Rome and Lisbon, to rapidly evolving modern urban centres like Dubai and Johannesburg. “The world’s greatest cities continue to transform to encourage innovation, increase their working and living populations and create new commercial opportunities for businesses. London’s housing market shows resilience and it remains an attractive long-term prospect, according to the CBRE Global Living report. London's housing market experienced a very strong and rapid recovery from the Global Financial Crisis. After the downturn in 2009, London's house prices surpassed their pre-crisis level by early 2012. This growth was driven by the improving global and economic environment, which attracted overseas investors back to London. In addition, the mortgage market became increasingly competitive with lower interest rates, which drove demand from the local population. The strong recovery means that average property prices are now among the highest of the global cities featured in the report at $647,000, and at almost $1,700psf, London has the third highest prime property values, behind Hong Kong and Sydney. London also has a large and growing rental population, with private renters currently making up 28% of the city’s households. A combination of high demand and low stock has pushed rents to the fifth highest in our global city ranking and the average monthly rent in the city is now just under $2,400. London is set to receive a boost from some of the largest infrastructure projects in Europe. Crossrail (now called the Elizabeth line) will transect London from east to west and greatly improve the connectivity of many districts while reducing journey times significantly. However, a combination of strong past growth, high prices and UK mortgage regulation is now impacting the market. Sales volumes have gradually declined and house price growth has slowed to just 1% in the last year. Despite that, London’s economy is predicted to remain strong. House prices are likely to continue to rise, albeit at a slower pace compared with recent years. The top three most expensive places to buy a property are once again in Asia. Hong Kong remains the city with the highest value residential real estate, with an average property costing $1.235m ($2,091 per sq ft). Singapore remains in second place, averaging $874,372 ($1,063 per sqft), and Shanghai is third at $872,555 ($714 per sq ft). As observed in last year’s report, all these cities have introduced cooling measures to keep prices under control. Average house prices are growing in 30 out of 35 cities CBRE looked at for the report. The biggest year on year growth was experienced in double-digits by Barcelona (16.9%), Dublin (11.6%), Shanghai (11.2%) and Madrid (10.2%). London remains one of the top ten performing global cities, with the average property price of $646,973, ($776 per sq ft) although growth was down to 1.1%. House prices increased year on year across 30 out of the 35 cities we looked at, although generally at lower rates than previously. In general, we are seeing house price growth slow across our cities as we move towards the end of a long property cycle. We would expect increasing interest rates to be affecting cities in the US, and various cooling measures affecting the Asia Pacific region, although Shanghai still saw robust growth. Six out of the ten cities with the highest house price growth are in Europe. Three of these, Barcelona, Madrid, and Dublin, all suffered severe price falls in prices during the financial crisis and took much longer to recover from the economic downturn that followed. Now they are recovering they are showing significant growth. In comparison, London recovered much faster after the downturn and is now further into the cycle. The research also highlights considerable rental growth in many European cities, including Lisbon, Madrid, Dublin and Barcelona. Supply constraints and increasing demand were among the factors leading to Lisbon and Madrid’s continuing double digit rental growth. Six European cities feature in the top ten for rental growth, including London. These cities are all facing increasing demand and a fundamental lack of supply. In addition, three Canadian cities feature in the top ten - Vancouver, Toronto and Montreal - driven by strong employment growth and low vacancy rates.